Bhubaneswar: The body of a tusker with bullet-piercing marks was found in the Prabhashuni jungle in Deogarh district early this morning. According to reports, some villagers recovered saw the body of the tusker found in the jungle and informed forest officials. 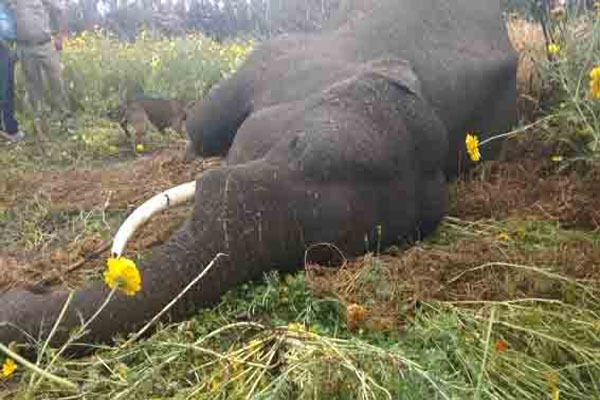 It is suspected that poachers might have killed the jumbo to take its valuable tusks. Forest officials have started investigation.